Ashwin will not be playing owing to his preparations for the Australia Test series while Vijay will play for India A in New Zealand. Chennai: Tamil Nadu will be without the services of ace spinner R Ashwin, Test opener Murali Vijay and all-rounder Vijay Shankar for the upcoming Ranji Trophy game against Hyderabad at Tirunelveli from November 12 to 15. 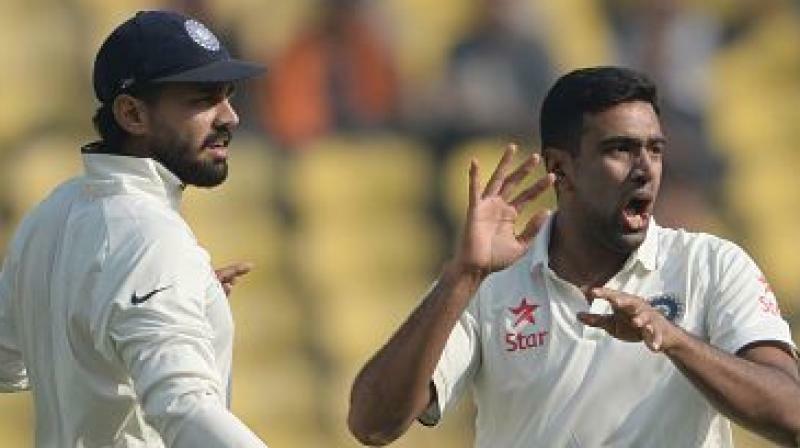 Ashwin will not be playing the match owing to his preparations for the coming Test series against Australia while Vijay is travelling with the India A team to New Zealand prior to the tour Down Under. Vijay Shankar is also part of the India A squad bound for New Zealand. K Vignesh, C V Varun and Shahrukh Khan have been picked in their places, a TNCA release said. Mystery spinner Varun had done well in the TNPL earlier this year. He had previously played in the Vijay Hazare Trophy one-day tournament and performed well. Medium-pacer Vignesh is returning to the team after recovering from a hamstring strain. Shahrukh Khan is a middle order batsman. Tamil Nadu had started its Ranji campaign against Madhya Pradesh with a rain-hit draw against Madhya Pradesh at Dindigul.